One common error that I often see in QuickBooks is that users tend to make the chart of accounts much too complicated. This can happen when there are multiple users recording transactions in QuickBooks or when you have turnover in your bookkeeping department. You may find that you have several accounts set up that you feel should all be combined into one account. If you find yourself in this situation you may want to merge your QuickBooks accounts. The process is quite easy but may not be apparent to a new QuickBooks user. This video demonstration will show you how to merge accounts in QuickBooks. that are very similar. You may be looking at a very complicated chart of accounts and it may not be necessary to have it broken down into such detail. Often when your chart of accounts becomes overly complicated your financial reports become less meaningful. By simplifying your chart of accounts through merging accounts your financial reports will become more meaningful. When you have multiple people handling entering transactions into QuickBooks or high turnover in your bookkeeping position you may find yourself with a complicated chart of accounts. This is because each user may not classify a particular transaction in the same account as another user. 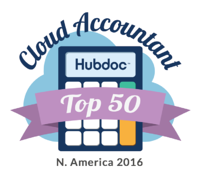 Therefore, your QuickBooks chart of accounts may grow and your account coding may become inconsistent. One example that I often see is two expense accounts for repairs; one called repairs and maintenance and the other called building repairs. Unless, you need this level of detail you can probably combine these accounts into one account. You can combine accounts in QuickBooks by merging them. Identify the two or more accounts that you want to merge together. Choose which account you would like to keep the name of to merge all other accounts into. Then right click on the account you want to keep and copy the account name. Now go to the account(s) you want to merge into the account you are keeping, right click and select edit. Then paste the name of the account you want to merge into and hit save and close. This will bring up a message that says 'This name is already being used. Would you like to merge them?' Select yes and you have successfully merged your accounts. You can merge other things in QuickBooks like customers, vendors and items by following the same procedures. Merging accounts in QuickBooks is a good way to simplify your chart of accounts and keep your coding a little more organized and meaningful.